Bill White and Chris Wood have put together this 104 page A4 photographic record of the school from its foundation in 1920 until 2011. Why 2011? Well it was to be 2010 to celebrate 90 years of the College but it was extended to 2011 to include the latest change of Headmaster. The photographs range from official ones of specific events to informal ones taken by pupils and staff. As well as captions naming pupils in many cases, there is additional information about key individuals, buildings, sports and other subjects. 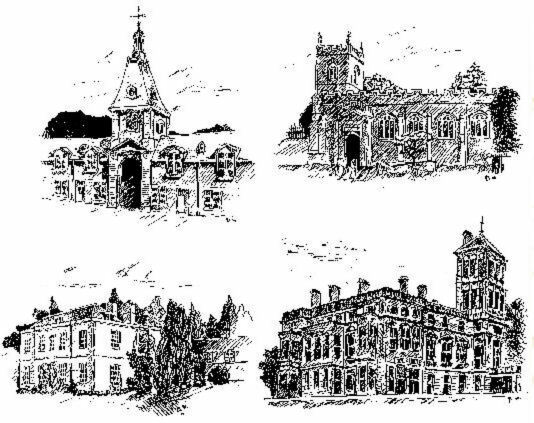 Arranged in decades, this history of the College is quite different from the two volumes published previously and the images give a real sense of how the College has changed from one decade to another, including the addition of the Junior School in 2000. Click on the image to view some sample pages. The cost is just £10 plus P & P.
Please email the secretary directly at secretary@oldrendcombian.org.uk or the treasurer at treasurer@oldrendcombian.org.ukfor a quote if you need the book to be sent outside the UK. 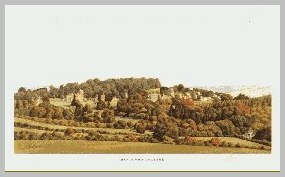 Originally published in 1976, A History of Rendcomb College by C.H.C. Osborne, J.C. James and K.L. James has been reprinted in paperback and is now available. It covers the first fifty years of the College from 1920 to 1970. Rendcomb College was founded in 1920 by Noel Wills of Miserden to provide a boarding school education of a modified public school type for boys from primary schools in rural Gloucestershire. Later a limited number of fee-payers from preparatory schools were admitted and in 1947 the Gloucestershire Education Committee agreed to give some financial support to the Foundationers without affecting the independent status of the College. The first headmaster, J. H. Simpson, gave an account of life at Rendcomb in Sane Schooling (Faber, 1936) and extracts from that work are to be found in the appendix to this volume. His successor, D. W. Lee-Browne, maintained the distinctive features of the College in a small closely knit community. Under the third headmaster, A. O. H. Quick, the College was considerably increased in size and numbers, and became recognised as a public school. During its first fifty years the College has had an unusually high record of academic success. 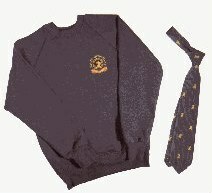 Many boys have profited also from the generous facilities for craft work, games and other traditional school leisure pursuits. A History of Rendcomb College Volume 2 by David Sells, with essays by Noel Gibbs, Anthony Quick & Edward Thring, follows on from the first volume, covering the years from 1960 to 1995. Published by the trustees to mark the 75th anniversary of the foundation of Rendcomb College by Noel Wills in 1920. To include the whole story of Rendcomb College’s growth in numbers and in stature and scope, the second volume starts in 1960 with the governors’ decision to expand the school, thus reviewing a decade covered by the first. It is a remarkable account of the growth through the ensuing years of a little-known boarding school of 90 boys, showing how it became a public school of some 260 boys and girls, coeducational throughout and taking a number of day pupils. (A review by Nicholas Dakin can be found here on pages 16 and 17). Proceeds from the sale of both volumes will go to The Friends of Rendcomb Trust, funding scholarships at the College. Hence donations of a minimum of £6 for volume 1, and £10 for volume 2, plus post and packing, are invited. Please contact Jane Gunner, Whiteway Farmhouse, The Whiteway, Cirencester, Glos. GL7 7BA (email:jane@r2g2.co.uk) for further details. A Local Boy at Rendcomb College During The War by Douglas Payne Douglas Payne was at Rendcomb from 1940 to 1948. These memoirs provide a vivid picture of Rendcomb during the Second World War. They are largely Douglas’ own recollections but also contain contributions from many of his contemporaries with whom he corresponded regularly. They are a record of one old Rendcombian’s lifelong sense of indebtedness to the school for the education he received. £5 + p&p from Jane Gunner at the above address. Table Mats and Coaster Sets of table mats and coasters, featuring the above sketches by Richard Sudbury, are now reavailable. A set of four mats (9.5″ x 7.5″) and four coasters cost £25, plus post & packing (£5 in the UK). Available from Jane Gunner at the above address. MUG with O.R. Society Crest Please contact Jane Gunner for details. This is of a watercolour painting commissioned by the OR Society, at the occasion of the College’s 75th anniversary, from local artist Stuart James. (also available framed, but not by post – £65). May be collected by arrangement at OR reunion days. the Hon Secretary. Please use the contact form at the bottom left of the page. 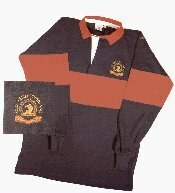 Many items will also be available at OR reunions and orders may be collected.